Can Dogs eat Almond Butter or are they too fat? Vet approved! s yes; dogs can eat almond butter, but only in moderation due to the high fat content. BTW same goes for almond milk and dogs. However almond butter is a rich source of vitamin E, a nutrient that helps promote healthy skin and coat. Additionally, not all almond butter is created equally, so owners should make a habit of checking the product label for extra ingredients that may be harmful to dogs, such as xylitol, excess sugar, salt, or spices. The best type of almond butter for a dog to consume will have only one ingredient listed (almonds), and will be of the creamy variety, not crunchy. 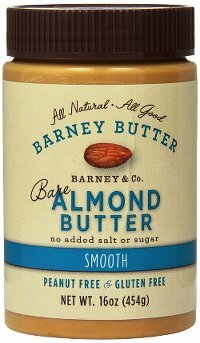 Why is almond butter only recommended to be given in limited quantities, when in fact they contain high amounts of fats and vitamin E, and have a more nutritious profile than peanuts? 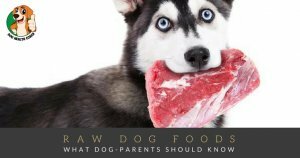 For one, dogs cannot tolerate large quantities of fatty foods, and certain breeds, especially toy breeds, have increased risks of developing pancreatitis. Indeed, the ASPCA warns that almonds can cause vomiting or diarrhea due to their fat content. Almonds can also be difficult for a dog to digest, which is why you should give your dog a creamy variety if you’re planning to treat your dog to this peanut butter alternative. Flavored almond butter is not a good idea! Almond butter can be readily found in stores; it is quickly becoming a trendy topping, so many manufacturers are producing flavored varieties that include spices that could potentially be harmful to your pet (such as nutmeg), as well chocolate or artificial sweeteners like xylitol, all of which are extremely toxic to dogs. Finally, dogs cannot handle high quantities of salt in the way that humans can, so it is important to only feed your pet a type of almond butter that is made from non-salted almonds and without additional oils. Almond butter yes but as a special treat only! I feed almond butter to my dogs (a 30 lb beagle/chow mix and a 60 lb lab/chow mix) as a special treat once every two or three weeks. Besides the fact that too much almond butter can be harmful, it is also considerably more expensive than peanut butter. However, my pups seem to love the natural sweetness of this topping, so I let them indulge from time to time. Fun ways to feed them almond butter include baked into dog treats or drizzled over fruit, such as apples or bananas. I also let my pups lick clean my almond butter jars before they are tossed in the recycling bin, which makes for a great make-shift KONG or other distracting toy. 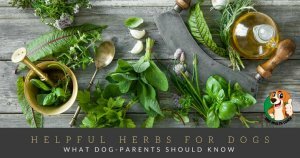 I believe that diversifying my dogs’ diet is important, and feeding them quality foods that are high in healthy fats and vitamins is necessary in order to keep them happy and healthy. Do you have any great recipes that incorporate almond butter that you like to give to your dog? Does your pup have a preference for almond butter over different types of treats? If so, please leave us a comment below!